Big, vigorous plants pump out high yields of extra-large, 4½-in. high-quality peppers! 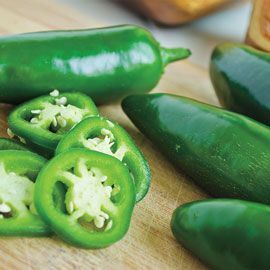 Thick-walled, tasty fruits ripen from dark green to fiery red and are perfect for stuffing, baking or salsas. Excellent disease resistance means even more spectacularly spicy peppers for all your favorite dishes. 70 DAYS. Height 30 - 34 inches. Germination 10 - 20 days. Height: 30 - 34 inches. Depth: Seeds 1/4 inch. Plants at the same level as the pot. Spread: 18 - 20 inches. Color: Dark green, turning to red. Size: Very Long 4 1/2 inches, tapered, extra large. 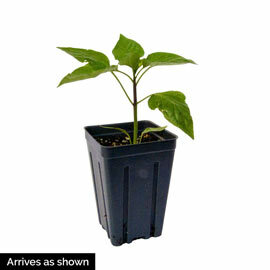 Fruit: Very Long 4 1/2 inches, tapered, extra large peppers. Dark green, turning to red. Yield: 60 lbs/ 100 foot row.